When people are on the move, they rely on their smartphones more than ever. With access to a battery-filled phone, travellers can plan their journeys, keep up-to-date, and reduce their perceived wait time. 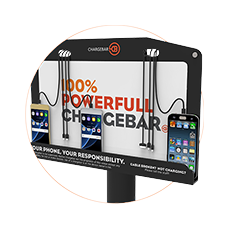 A Chargebar is the best way to guarantee customers are satisfied, informed, and connected. 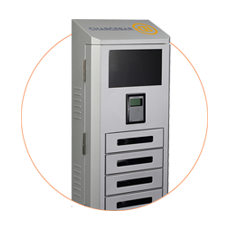 Chargebars can be found in major airports all over Australia, on Sydney’s ferries, and in train stations. From placing a Riley LED on the wall inside a ferry, to installing Foster kiosks throughout Sydney Airport’s International and Domestic terminals, Australia’s transport hubs continue to see the value of phone charging as a service, with Chargebars in-use day in, day out. Grant customers access to their phones, to reduce their perceived wait times. Let customers check timetables, work out routes, and check flight delays. Being able to communicate flight information, delays, and regular updates to friends and family is very important whilst travelling. With a flat battery, this becomes impossible.